N+1 advised the Spanish control and inspections group Atisae in the divestment of the 54.80% stake of the founding partners to the owner of the remaining 45.20% stake, German company Tüv Süd. As part of the agreement, the selling shareholders have additionally divested the 38% that they owned in Atisae Castilla y León. Established in 1964, Asistencia Técnica Industrial S.A.E. (Atisae) is one of the leading providers of testing and inspection services on the Iberian peninsula. The company, with a workforce of over 1,300 employees and revenue of over €84mn, operates in three fields of activities: industrial safety, vehicle inspection and automotive consulting. In a statement released by Tüv Süd, Prof. Dr.-Ing. Axel Stepken, Chairman of the Board of the company, said that “by acquiring Atisae we will sustainably strengthen not only our business operations in Spain, but also our position in western Europe”. “This acquisition, the largest in our company’s history, will give us access to an important and exciting market”. Besides being the fifth largest national economy in the European Union, Spain is the second largest car manufacturer in the EU, has the longest network of motorways in Europe and ranks fourth worldwide in terms of installed wind power capacity. 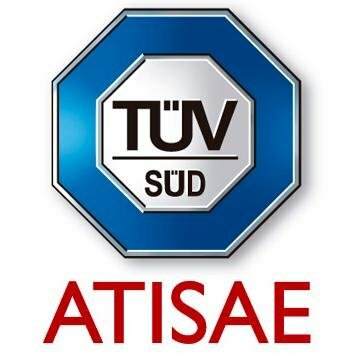 Offering a broad portfolio of services, ATISAE operates in many sectors of industry and is thus a perfect match for the Tüv Süd Group. After the acquisition, the German corporation employs around 24,000 staff around the world, with international employees accounting for over half of the workforce.